It is hard to imagine a situation where the bond between a mother and child is more heightened than in war. Throughout two world wars Australian mothers anxiously watched their sons depart to fight in places many had never heard of and some never returned from. Gallipoli, Ypres, Tobruk, Tarakan. In times of war and great separation, personal tokens such as jewellery provide a visual expression of pride and a comforting and constant reminder of an absent loved one. 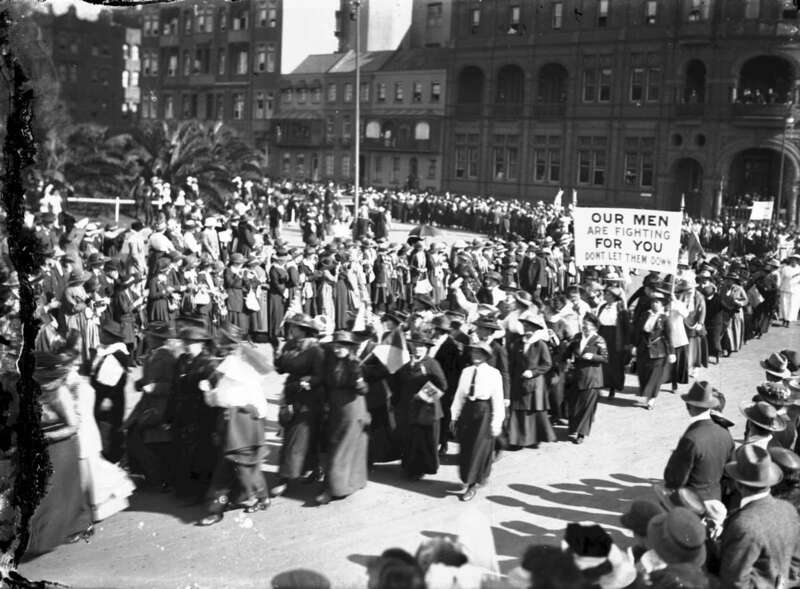 Mothers marching in a WW1 recruitment parade. ANMM collection, gift from the Royal Sydney Yacht Squadron. Photographer William J Hall. During WWI and WWII societal pressure to join the armed forces must have been the source of immense emotional conflict for Australian mothers. The natural concern to protect your children and to keep them from harm was at variance with the patriotic push for men to risk their lives in the service of their country. Perhaps due to the absence in Australia of conscription for overseas military service, government propaganda was produced during WWI and WWII that was persuasive and passionate on the subject of enlistment – and not all of this material was aimed at men. Maternal pride was appealed to as mothers and women were called upon to encourage men to do their duty and join the forces. Slogans on posters exclaimed ‘Won’t you help and send a man to join the army to-day!’ and ‘The cry of the mothers : Australians! Enlist now!’. With a mother’s anxiety comes pride and honour. The two world wars mobilised and united the Australian population in a way that has perhaps never been seen since. To have a son who was fighting not only evoked pride but inspired patriotism and drew Australian mothers directly into the war effort. For women, particularly in the First World War, supporting your children’s enlistment was your most important contribution. During both world wars the Department of Defence issued badges and brooches to mothers and female relatives of those who were on active service to recognise this contribution. 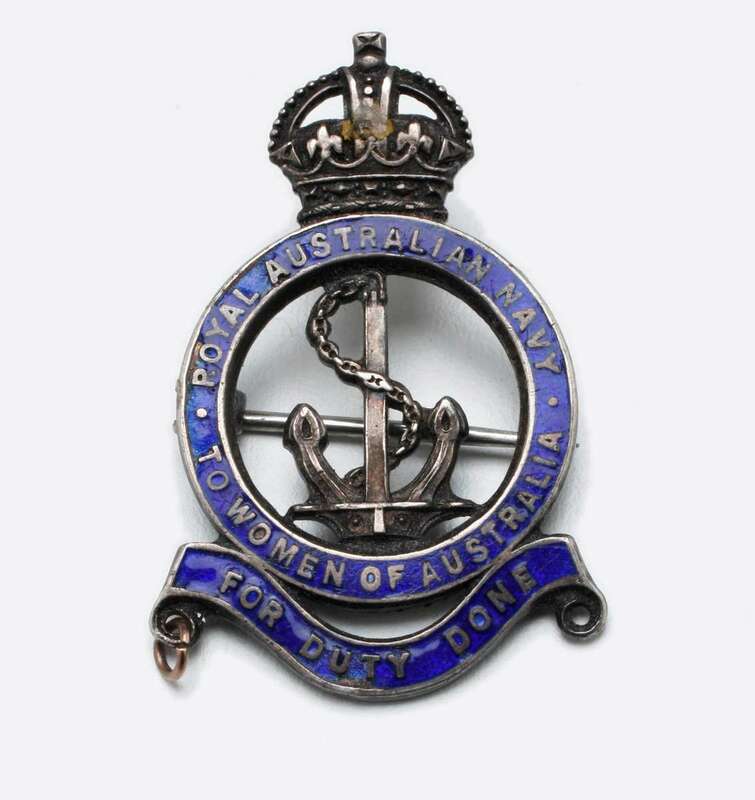 These badges contain wording such as ‘To the Women of Australia for Duty Done’, and displayed identifying bars or stars to indicate the number of male relatives on active service. These badges would have been instantly recognisable at the time, making the wearer identifiable as having a son or relative away on active service. They were an official symbol of the important role that mothers and other female relatives played as moral supporters during wartime. As well as these officially distributed badges, it was popular in times of war for servicemen to make and send mementoes such as badges and jewellery to their mothers and family members. These handmade keepsakes fulfilled a similar purpose with their patriotic style and were a visible symbol of loyalty and pride. On a personal level they also provided a direct link between those in service and those who were waiting for them at home. 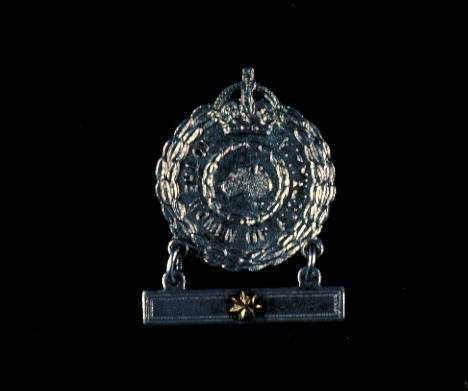 The Australian National Maritime Museum holds several examples of these handmade mementoes, including the badge below. This badge, made during WWII from mother-of-pearl, contains the words ‘RAN Mother’ in gilt wire. While the officially produced badges are registered and traceable to their original owners, this handmade badge unfortunately has no such identifying link. Made by a member of the Royal Australian Navy for perhaps the most important lady in his life, what it represents in its anonymity is a sweet reminder of the link between a mother and son who remained in each other’s thoughts during war. 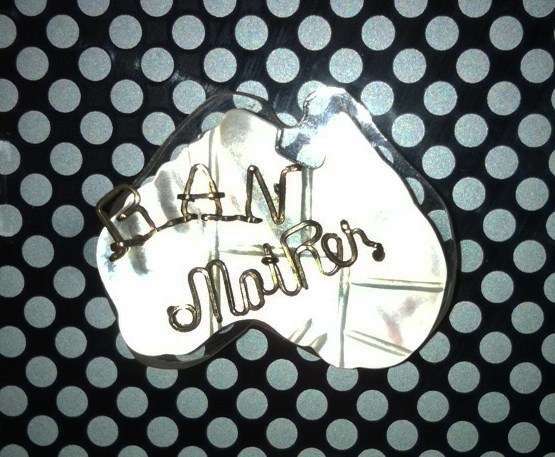 Heartfelt handmade mementoes or official tokens, both were worn as medals of honour for Australian mothers during war. Separated in extreme circumstances, these tokens were symbols of the link between a mother and her child.